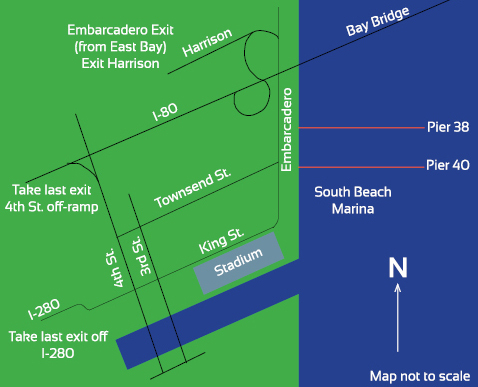 Our preferred embarkation and disembark location is Pier 40 located at the South Beach Marina in San Francisco. Pier 40 is located at 89 King Street. We provide remote embark and disembark location in Jack London Square, Oakland or in Sausalito, CA for an additional fee of $400.